Fixed-income investors are scrambling to adapt to a changing interest rate environment, but one may still generate yields and diminish rate risk through target-date bond ETFs. For instance, Guggenheim Investments has a suite of “BulletShares” defined-maturity bond ETFs, including a range of corporate bond options for years up to the Guggenheim BulletShares 2027 Corporate Bond ETF (NYSEArca: BSCR) and a group of high-yield options for years up to the Guggenheim BulletShares 2025 High Yield Corporate Bond ETF (NYSEArca: BSJP). “The objective of the BulletShares ETFs is to deliver the effective maturity of bonds that are maturing in any year. 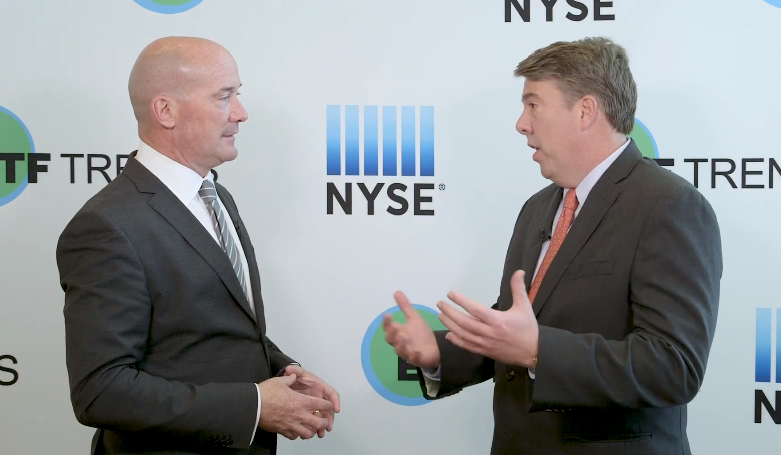 So once you get to the end of the year, we send the net asset value back to share holders,” William Belden, Managing Director and Head of ETF Business Development for Guggenheim Investments, said at the Inside ETFs 2018 conference. These defined-maturity bond funds typically buy bonds that mature in the year the ETF will terminate, ensuring that investors can collect the bonds’ face value at maturity, along with a steady income stream along the way. As such, investors are meant to buy-and-hold these securities until maturity.